The Minnesota Vikings could not have drawn up a worse beginning to their season. 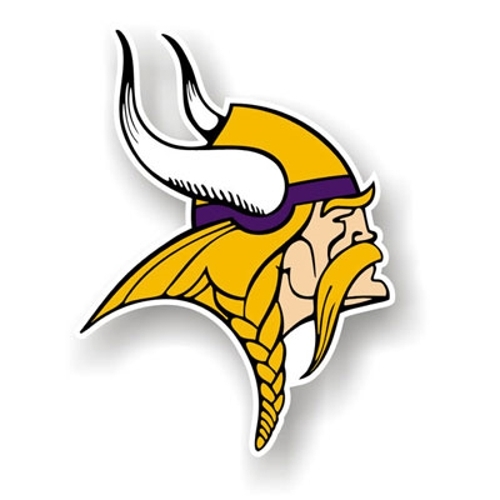 A 0-4 start in a division where the only 2 undefeated teams at 4-0 remain (Detroit Lions and Green Bay Packers) definitely puts a dagger into the Vikings playoff chances. QB Donovan McNabb has not been the veteran leader on the field that this team needs. The Vikings have the 31st ranked pass offense in the NFL. Donovan is ranked 22nd in completion percentage and 30th in pass yards, which includes a dismal 39 yard performance week 1. He is not the Quarterback to help get this team over the hump. Through 4 games, McNabb has only 4 touchdowns in relation to his 4 turnovers (2 int, 2 fumbles). He made stupid, uncharacteristic decisions against the then winless Chiefs, such as his interception on a throw to Toby Gerhart. His best years are behind him and right now, all he is doing is holding back the Vikings as a team. Furthermore, the QB should not be the primary offensive option on a team where you have the best RB in the NFL in Adrian Peterson. Peterson should be touching the ball at least 25 times a game to put your team in the best position to win, because A.P can make something out of nothing. The time is now to bench Donovan McNabb. After 4 games, that experiment has been a complete and utter failure. All would not be lost though if Ponder got starts. Rookie Quarterbacks in the league this year have had success. Just look at Panthers Quarterback Cam Newton or Bengals QB Andy Dalton. Starting a rookie is in no way, shape or form saying that you are throwing in the towel. It is time to see what Christian Ponder can do. He put up good numbers in his final year at Florida State with 20 touchdowns and 8 picks. He may not be the saviour that Vikings fans are looking for, but at this point, you need to see what you can get out of him. Playing in a division with Aaron Rodgers, Matthew Stafford and Jay Cutler basically means that you need a great Quarterback to compete. The Vikings head coach did announce however that McNabb will be the QB for at least week 5’s matchup with the Arizona Cardinals, but I believe that is a mistake. That would be the perfect game for a new QB to dip his toes in the water and get a feel for some NFL action, so I don’t see there reasoning for making that call. At the very least, if the Christian Ponder experiment eventually fails as well, then the team will be in a position to draft QB Andrew Luck in the draft. 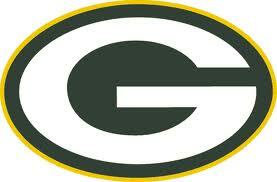 Right now, there is no better team in the National Football League than the Green Bay Packers. Usually the team that wins the Super Bowl the previous year has a bit of a fall-off, but not in this case. The Packers are once again healthy and dominating on the field. They have the 5th ranked offense in the league, are 5th in passing yards, and score the most points at 37 per game. Aaron Rodgers has solidified himself as the best Quarterback in football, and that was never more apparent than on Sunday against the Denver Broncos. Rodgers threw for a career-high 408 yards, 4 passing touchdowns and 2 rushing touchdowns, making him the first Quarterback ever to accomplish that feat. It isn’t even fair how many weapons Rodgers has at his disposal. There is no better receiving core in the league than Greg Jennings, Jermichael Finley, Donald Driver and Jordy Nelson. The defense is no slouch either, with Charles Woodson, B.J Raji and Clay Matthews being elite at their position. The one thing that gives Packers fans potential fright at night is injuries. The Packers had 15+ injuries last season to their starters, but despite all that, they ended up winning the Super Bowl. If Rodgers can continue to stay on the field, then this team will always be in every game that they are in. They are one of 2 remaining teams to not have a loss on their record, and with St. Louis and Minnesota on the horizon, it is fair to say that the Packers will remain undefeated heading into their bye week. Outside of the New Orleans Saints, who gave the Packers a run for their money week 1, there really aren’t any serious challenges awaiting the Pack on their way to a 2nd straight Super Bowl appearance. There will be a lot of hype surrounding the Thanksgiving day matchup with the Detroit Lions, the other team who currently remains undefeated in the NFL. With both teams having relatively favorable schedules until that point, it may end up being a battle of undefeated squads come November 24th. There we will see the truest competition stopping Green Bay from repeating. For now, just enjoy the sheer beauty at work when watching Aaron Rodgers and the Packers play on Sundays. At the rate there playing, talks of a 16-0 season may arise again. It was just one week ago that the fans of the Dallas Cowboys were praising there great QB Tony Romo. Through broken ribs and a collapsed lung, Romo found a way to help America’s team gain victory over Rex Grossman and the Washington Redskins. He became the ultimate tough guy. Playing with serious injuries that would keep most players down, Tony still managed to get on the field and control the tempo of the game, despite not throwing for any touchdowns. With a 2-1 record at the time, all was well in Dallas. Things appeared to be all but perfect in yesterdays matchup with the Detroit Lions. The Cowboys had a 27-3 lead, Tony Romo had 3 touchdowns and the Cowboys defense was keeping Matthew Stafford in check. The offensive line was playing effective, keeping Tony off the ground and out of harms way. But with 10:12 left in the 3rd quarter, everything started to unravel. Romo threw an interception to Lion’s linebacker and former Cowboy Bobby Carpenter, who ironically enough was a groomsman at Romo’s wedding. Carpenter returned the ball 34 yards for a score, making the score 27-10. 5 minutes later, Chris Houston of the Lion’s would intercept Romo again and bring that INT in for a score as well, cutting the Cowboys lead to 10. Within a 5 minute window, Tony Romo throws 2 interceptions which are both brought back for touchdowns, causing Cowboy fans to shake their heads in disbelief. Romo would throw for one more pick in the game, finishing with 3 turnovers in the 2nd half alone. The Lions would eventually take over and win the game 31-27 in the biggest collapse in Dallas Cowboys history. After being the hero of week 3, the magic dust would wear away in week 4. The Cowboys had the game won. All Tony had to do was control the clock, make smart throws and put the nail in Detroit’s undefeated streak. He ended up doing the opposite, throwing the ball into double coverage and well-covered receivers. Romo seems to have a habit of costing the Cowboys wins late in games. I for one am a reasonable individual, and will not jump on the “Bench Romo” bandwagon. Tony is still one of the better QB’s in the game today, but for some reason he can’t keep a level head in crunch time, which is something that will prevent the Cowboys from being an elite team in this league, and possibly win a Super Bowl. The time is now for Tony to learn from his mistakes and get Dallas back on the right track. The NFC East is still wide open, and the opportunities will be there for the Cowboys to rack up wins and take over first place. All fans want is consistency. Unfortunately, you just never know with Mr. Romo.